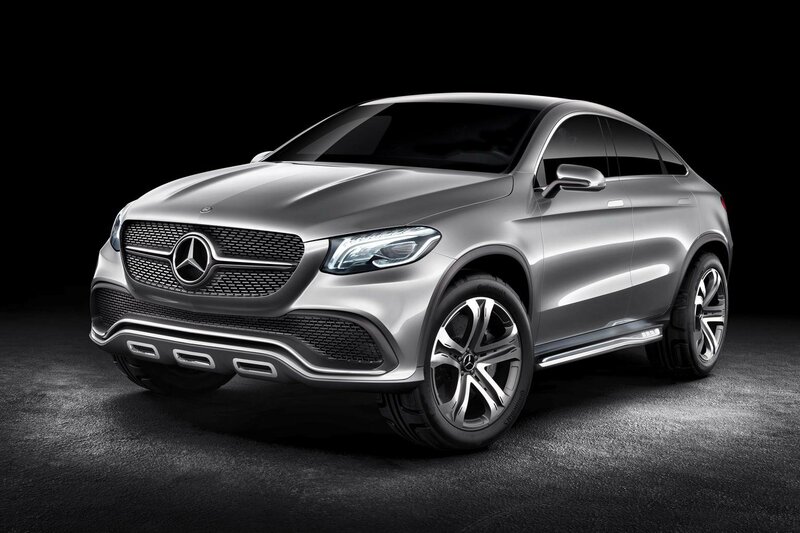 Mercedes' X6 rival previewed by SUV concept | What Car? This is the Mercedes Concept Coupe SUV, revealed in a single image at this week’s shareholders’ meeting of parent company Daimler AG. The Concept Coupe SUV is roughly the same size as a BMW X6, and previews a production model that’s due in 2015. This is likely be based on the chassis of the current M-Class SUV, and is tipped to be called the MLC. A coupe version of the M-Class would likely share the same range of engines, meaning Bluetec diesels and high-performance petrol AMG variants will be on the cards. Every version should get four-wheel drive, although we expect the M-Class’s chassis will be tweaked to give a sportier set-up. The announcement from Mercedes promises that the 2015 model will have ‘very dynamic handling’. The Mercedes Concept Coupe SUV will be unveiled at the Beijing motor show later this month.